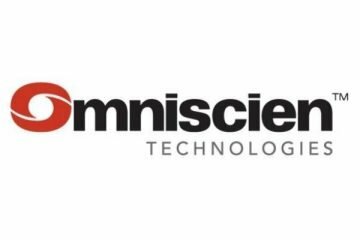 SINGAPORE – October 19, 2017 – Omniscien Technologies releases Next-Generation, Machine Learning Based Deep Neural Machine Translation (Deep NMT). With the latest release of Language Studio™, Omniscien Technologies combines Statistical Machine Translation (SMT), Neural Machine Translation (NMT) and advanced Deep Neural Machine Translation (Deep NMT) technologies based on machine learning on a single platform for all 550 Language Pairs supported currently. Deep NMT is an extension of Neural Machine Translation, a machine learning algorithm that takes advantage of recent advances in processing power to process multiple neural network layers, resulting in notably improved translation quality when compared to earlier versions of NMT and legacy SMT. 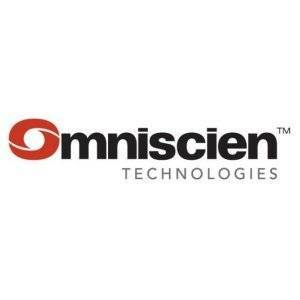 “The latest release of our NMT technology is a further validation of Omniscien Technologies’ technological capabilities. Only 6 months after releasing NMT into production for all of our language pairs, we are now providing our customers with access to even more advanced Deep NMT, which achieves a consistent 5-12 BLEU point jump over standard NMT and which readers perceive immediately as improvements in fluency and overall quality. As with our NMT release previously, we believe in providing customers with choice, quality and expert advice to ensure that they achieve their goals”, says Andrew Rufener, CEO of Omniscien Technologies. “With this latest version of Language Studio™, we continue to lead the pack in terms of terminology control – something we are very familiar with from our work with legacy Rules Based Machine Translation (RBMT) and SMT, but something that currently is not well known with NMT and Deep NMT”. “Deep Neural Machine Translation is the next step up from NMT and provides a substantial average increase in BLEU scores depending on the domain as well as training data quality and volumes. This is a significant improvement even over our previous neural technology only a few months ago proving just how fast leading players evolve their technology”, says Dion Wiggins, CTO of Omniscien Technologies. “However, it is important to point out that only a combination of machine learning technology, effective preprocessing of the training data and data manufacturing to create additional training data can achieve the best results. This is why we have also invested heavily in our entire production workflow, allowing us to build highly customized project specific, high-quality Deep NMT engines in a matter of days. When compared to other offerings in the market, which take around a month to train a standard NMT engine, our solution typically trains an engine within 1-5 days. Key to our design with this release of Language Studio™ was ensuring that we could provide control with NMT and Deep NMT, with full backward compatibility to SMT, thereby enabling our hybrid SMT/NMT processes, and all existing integrations so as to protect customers’ investments”, continues Wiggins. With the latest version of Language Studio™, Omniscien Technologies reconfirms its market leadership by offering a single platform for language processing, machine translation and machine learning as well as offering terminology control and control of complex data structures that scale as needed to be able to process billions of words per day. This is a first with commercially customizable, non-generic, Deep Neural Machine Translation. Language Studio™ Deep NMT is available today to Omniscien Technologies’ global customer base in Language Studio™ Cloud as well as its on premise solution as Language Studio™ Enterprise for customers who require integration with a local secure platform for compliance or regulatory reasons or high-volume installations. Omniscien Technologies is a leading global supplier of high performance and secure highquality Language Processing, Machine Translation (MT) and Machine Learning technologies and services for content intensive applications. Our wide range of solutions serves clientele from various industries including the Localization Industry, Online Research Services, Publishing, E-Commerce, Media and Entertainment, Online Travel, Technology, Enterprise and Government. Omniscien Technologies has gained a reputation for cutting edge solutions with its Language Studio™ and E-Commerce Studio™ platforms. Depending upon customers’ requirements, the platforms can be deployed in a variety of ways to integrate with in-house data processing and translation management systems for the localization industry as well as other systems. The platforms offer unparalleled levels of customization and control, including feature rich pre- and post-processing, enabling customers with even the most complex data to achieve both high quality and high-volume output to satisfy every use case. Omniscien Technologies has by far the most comprehensive and feature rich systems in the market today. Covering more than 550 global language pairs and with a number of industry specific solutions, Omniscien Technologies remains the partner of choice for customers with complex, high-volume bespoke data processing and machine translation needs.